We all know that it’s the thought that counts when exchanging gifts at Christmas, but the question is – what happens to our gifts when they don’t quite meet our expectations? We decided to channel our inner Scrooge (although only briefly!) and find out where all the Christmas gifts that got a “bah, humbug!” were going to end up after the festive season. To do this, we asked over 500 people from around the UK a few questions about their Christmas gift habits. Unsurprisingly, very few people said they’d be direct with the gift-giver and tell them outright that they didn’t like the present. We’re British and follow the laws of politeness, after all! In fact, when we dug deeper and looked at the results by age, not one person in the 18-24 category said they would tell the gift-giver if they didn’t like a gift, instead preferring to give it to charity or re-gift it. The most likely to do this were 25–34-year-olds, although it was still a mere 8.6% of the respondents. How Many of Us Actually Re-Gift Unwanted Presents? 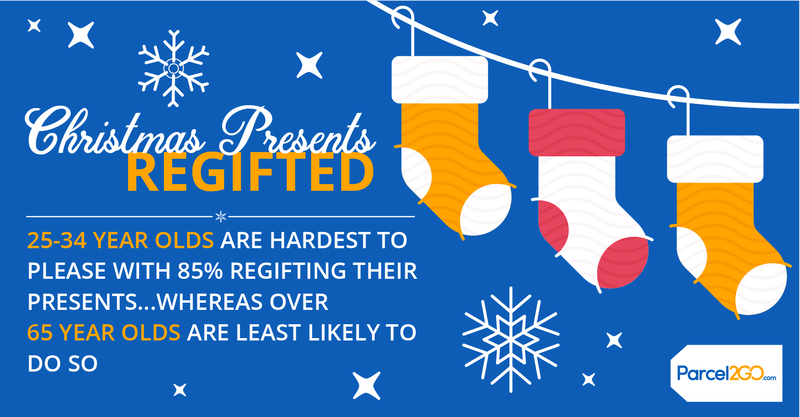 We found that re-gifting was surprisingly widespread, especially with younger people. Nearly 85% of 25–34-year-olds said they’d re-gifted in the past, giving their unwanted presents to a friend or family member. Gen Xers weren't far behind; 68% of 35–44-year-olds also admitted to doing the same. 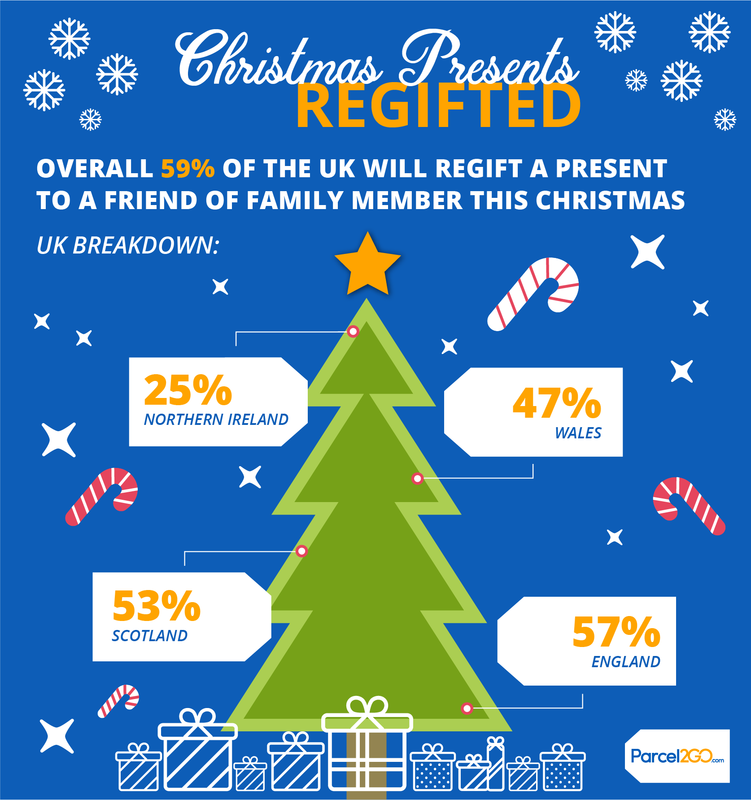 Overall, across all ages, we found that over 59% of the UK will re-gift a present to a friend or family member after Christmas. It was those in the 65+ category who seemed more receptive to any presents they were given and didn’t tend to re-gift. Instead, they were more likely to just use it anyway or donate it to charity. What are Your Least Favourite Gifts? The result was almost unanimous when we asked our recipients what their least favourite types of gifts were. Across both genders and all age ranges (apart from the 18–24-year-olds), toiletries were the least favourite gift to find under the tree. The only anomaly was in the younger age category, half of which said that they didn’t like receiving jewellery at Christmas. With a large portion of this age group probably attending university, the toiletries were probably pretty useful! Overall, the three types of gifts that people were the most receptive to receiving on Christmas day were electronic items, vouchers and books. From our survey, we found out what kind of presents were the most likely to end up on the Christmas gift reject pile and by who. So, whatever presents you buy this Christmas, at least you can have peace of mind that your gift will get used, rather than ending up at the back of a drawer or in the bin. 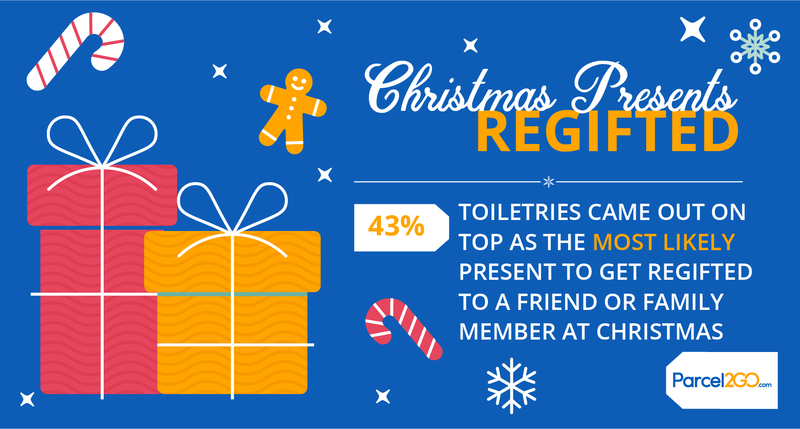 Just try to limit the amount of toiletries you give away as presents!